Air Logistics Group held an exclusive training workshop in Barcelona between the 9th -13th January2017, attended by a number of employees from various departments within the company. The workshop brought together employees from across the Air Logistics network, providing an opportunity for colleagues to get together to develop their skills and embrace the ever changing Air Cargo Industry. The workshop covered a number of different topics including supply chain and market developments, financial management and team building. 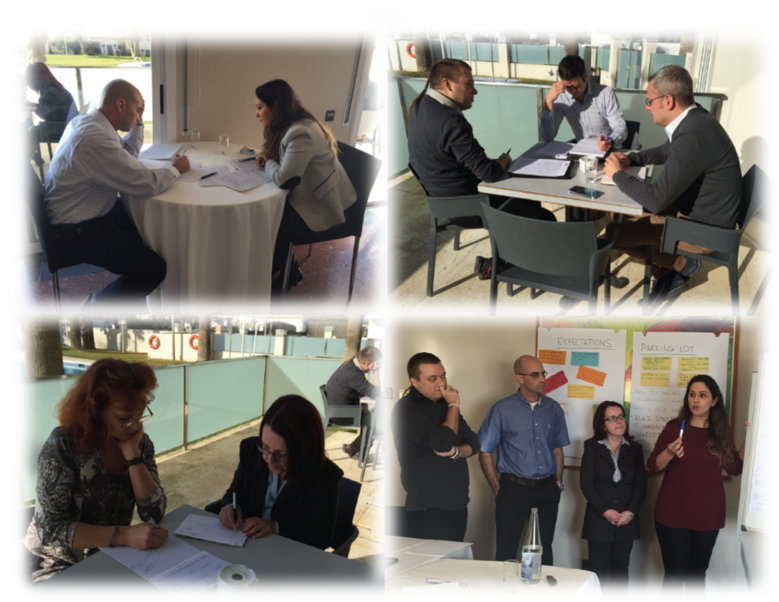 The interactive training involved a combination of group discussions, industry analysis and strategic planning activities. The attendees were also able to draw upon a number of experts’ experience and gain a practical perspective of the industry alongside Air Logistics Group's internal knowledge. The attendees were also able to grill a panel of industry experts to gain a real world perspective of the industry and to draw upon the panel’s many years of experience. "The training programme was very successfully received by all that attended," comments Stephen Dawkins, Chief Operating Officer, Air Logistics Group, "Training is an area which is very important to Air Logistics across all levels of our business. From special cargo training for our operations teams to strategic development workshops of this kind for our management team, we believe that by increasing the knowledge of all of our people and investing in our future, we can meet and exceed the expectations of our customers." "This was the second Air Logistics workshop following the introduction of our in-house development programme last year, with a similar workshop taking place in Amsterdam in May 2016," continued Dawkins, "We look forward to providing many more training opportunities to our employees in the coming years." Employee development is a key principal of the Air logistics Group corporate strategy. The company is proud to have highly experienced and motivated teams across its network of 48 countries with low employee turnover and with many employees celebrating over 10 years service.